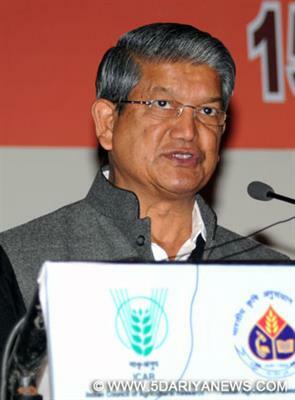 There is a strong sense of apprehension and uncertainty among states like Uttarakhand following the union government's proposal to wind up the Planning Commission, Uttarakhand Chief Minister Harish Rawat said Saturday.The Congress leader made the comments at a summit organised by the India Today group in the national capital on centre-state relationships, as he locked horns with BJP leader and his Maharashtra counterpart Devendra Fadnavis over the issue of centre-state relations in the Indian federation Saturday. "There is uncertainty among small states like mine regarding the potential dismantling of the Planning Commission. Who do we approach for funding and other concerns now? Rawat asked as he shared his fears over the loss of an autonomous body at the Centre that sets the country's development agenda. "There is a logical concern because it was the Commission that interacted with us (the states) at every level until now," Rawat added. Defending Prime Minister Narendra Modi's proposition to strengthen cooperative federalism by replacing the Commission with a new framework based on greater centre-state partnership, Maharashtra Chief Minister Fadnavis dispelled such apprehensions, terming Rawat's concern as "baseless". "Modi is a visionary and he wants to strengthen centre-state relations. The Congress "governed states are raising baseless concerns only because they are in the opposition," Fadnavis said at the summit.